Our best work comes when passion and opportunity meet. But many struggle to make that happen—and that’s the problem, one that can lead to dissatisfaction both in and out of the workplace. Discover where you are in relation to where you want to goMove step-by-step toward high-passion, high-opportunity areasExcel throughout the process of changeMaybe the new economy feels daunting to you. Maybe you’re not sure how to break out of your industry. Maybe you’re struggling to move up in rank. Wherever you are, if you don’t find your work meaningful and engaging, it’s time for a change, and Love Your Work will prepare you to make it. 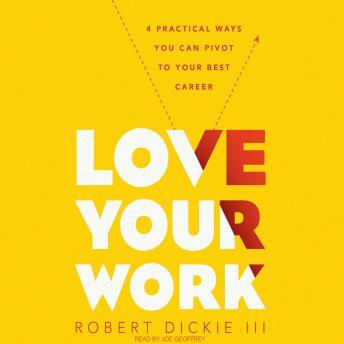 Using stories and examples from his professional experience, Robert Dickie will teach you how to turn trial into opportunity, find the hidden value in your skills, and rewrite your career story into one that excites you.